UPDATE 6/8/2012: DOCEXBLOG has now posted 24 of the 27 Record Schedules which the CIA and NARA claimed were “temporarily unavailable” to the public. They were downloaded before they were removed. A very big thanks. In March 2010 the National Archives and Record Administration (NARA) launched a new portal on their web site providing access to federal agency records control schedules. The portal was touted as a stepping-stone towards greater transparency because publicizing the control schedules – instructions on which agency files should be moved, destroyed, deleted, or transferred to NARA – allows citizens to see what types of records the government creates. 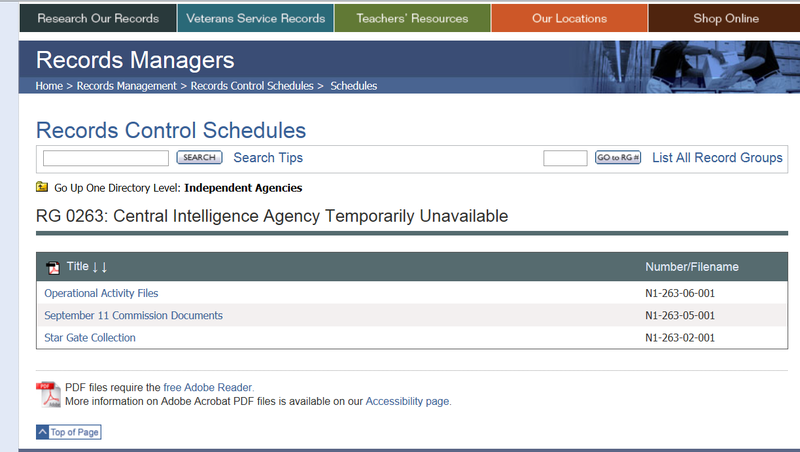 However, one agency, the CIA, has apparently refused to publish their control schedules; its page merely displays a notice that the control schedules are “temporarily unavailable.” In fact, the CIA’s records have been “temporarily unavailable” for most of the portal’s existence. It’s troubling that the National Archives has been unable to cajole the CIA into sharing its records schedule with the public, as it is a valuable tool for understanding the Agency’s history and practices. Other Government Agency Referral Files. The newly re-revealed schedules provide insight into the CIA’s operational procedures, as well as an interesting glimpse into the Agency’s past. The Grombach Files, for example, refer to John “Frenchy” Grombach, head of the CIA’s forerunner, “The Pond.” The existence of The Pond has only recently been acknowledged, and many aspects of the organization remain unknown. What is known, however, is that The Pond was established in 1942, and was entirely separate from William “Wild Bill” Donovan’s Office of Strategic Services. 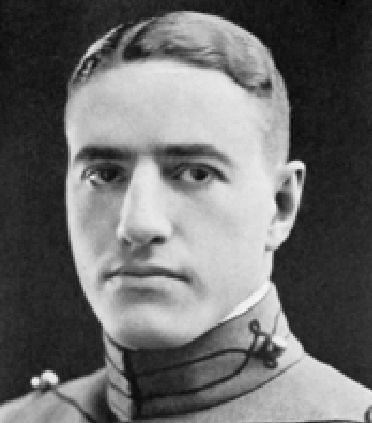 John Grombach – a former Olympic boxer, West Point cadet, and Donovan’s rival – was named its head. It was modeled after the British intelligence service the MI-6, was steeped in even more secrecy than the CIA, and operated under the cover of multinational corporations including American Express, Chase National Bank, and the electronic company Philips. The Pond spent most of its 13 year existence resembling a private sector organization more than a government agency, and there was little accountability or oversight. As a result, it was dissolved in 1955 when the government centralized its intelligence services. In 2001, a trove of The Pond’s records were discovered in a barn in Virginia and sent to the National Archives. The Records of the Pacific Corporation control schedules could also provide some juicy insights into the spy agency. The Pacific Corporation (originally the Airdale Corporation) was one of the CIA’s first front companies, and was a holding company used to control several airlines (including Southern Air Transport and Intermountain Airlines) that supported CIA operations around the world. Southern Air Transport, for example, supported the US war effort in Southeast Asia, combated insurgents in Latin America, and aided humanitarian relief in Africa (and is alleged to have engaged in drug trafficking). The Pacific Corporation itself dissolved in 1979 after selling off its assets, while Southern Air Transport remained in operation until 1999. These control schedules – and two dozen more – were available on the NARA portal for several months in 2010. However, since the middle of 2010 the schedules for the CIA have been temporarily unavailable – for almost two years now. Today, the only three CIA schedules available are the Operation Activity Files, the Star Gate Collection, and some September 11 Commission Documents. Exactly why the record control schedules have been unavailable for so long is not expressly clear, though it’s clearly against NARA’s mission statement, and a disservice for anyone trying to learn more about the way the CIA operates. Then again, that may be the point. The FBI is even sneakier – it doesn’t say that its record control schedules are unavailable, but if you click on Federal Bureau of Investigation, you just get their name and an otherwise blank page. I would love to know why they were removed. Wow. Big thanks. Important work.